Guided by the principle that community engagement is critical for addressing complex public health issues, the Social Development Research Group at the University of Washington has been testing Communities That Care (CTC), a community-mobilizing initiative for preventing those risky behaviors. Substance abuse among adolescents negatively impacts their still-developing brains, and can lead to risky behavior, injury and even death.1 Guided by the principle that community engagement is critical for addressing complex public health issues, the Social Development Research Group at the University of Washington has been testing Communities That Care (CTC), a community-mobilizing initiative for preventing those risky behaviors. CTC is a data-driven framework that uses local survey and archival data to help communities identify and prioritize their needs, and then allows them to choose and implement evidence-based programs that have been shown to be effective in addressing those needs. Communities choose from a "menu" of tested and effective programs for youth, their families, schools and communities. An initial five-year community randomized trial, sponsored by Substance Abuse and Mental Health Services Administration’s Center for Substance Abuse and Prevention , was conducted in 24 small towns in seven states, with annual surveys done of approximately 4,400 students, from 5th through 10th grades. 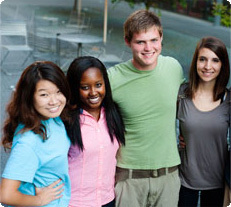 Outcomes showed that youth in CTC communities were significantly less likely to have engaged in past-month binge drinking4 and about a third less likely to have ever used alcohol.5 Further, a study done one year after original resources to communities ended showed that students in CTC communities were 38% less likely to start alcohol use in grade 10 and about half as likely to begin smoking in 10th grade as students in control communities.6 To date, more than 300 communities throughout the country have used CTC to combat substance abuse. The community of Tooele City, Utah, exemplifies the benefits of the CTC program. Tooele City became involved in CTC in an effort to address the root causes of several issues affecting adolescents, including high levels of alcohol and substance use. Tooele City began implementing its CTC programs in 2005. At the time of implementation, 20.4% of 10th graders in Tooele City reported using alcohol in the past 30 days, compared to 15.7% of 10th graders in Utah overall. Through the leadership of various community stakeholders, including Tooele City Mayor, Tooele City Police Chief, and Tooele County School District Superintendent, CTC helped Tooele City effectively reduce rates of alcohol and substance abuse among adolescents. In 2009, the rate of 10th graders in Tooele City who reported using alcohol in the past 30 days dropped to 18.2%. Today, almost five years after the initial funding ended, Tooele City CTC has transformed from a community trial to the "Communities That Care" Department in the city government, continuing to make a significant impact on the community’s youth. 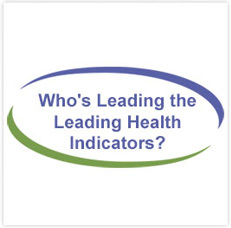 1National Institutes of Health, U.S. Department of Health and Human Services. "Underage Drinking." National Institute on Alcohol Abuse and Alcoholism. http://www.niaaa.nih.gov/alcohol-health/special-populations-co-occurring-disorders/underage-drinking (accessed October 7, 2012). 2University of Washington. "Social Development Research Group." Social Development Research Group. http://www.sdrg.org/index.asp (accessed October 7, 2012). 3University of Washington. "Communities That Care." Social Development Research Group. http://www.sdrg.org/CTCInterventions.asp (accessed October 7, 2012). 4Hawkins, J. David, Sabrina Oesterle, Eric C. Brown, Michael W. Arthur, Robert D. Abbot, Abigail A. Fagan, and Richard F. Catalano. "Results of a Type 2 Translational Research Trial to Prevent Adolescent Drug Use and Delinquency: A Test of Communities That Care." Arch Pediatr Adolesc Med 163, no. 9 (2009): 789-798. 5Catalano, R. F., K. P. Haggerty, et al. (2012). Communities That Care Returns $5.30 per Dollar Invested by Preventing Youth Tobacco Use and Delinquency. Research Brief. Seattle, WA, Social Development Research Group. 6Hawkins JD, Oesterle S, Brown EC, Monahan KC, Abbott RD, Arther MW, Catalano RF. Sustained decreases in risk exposure and youth problem behaviors after installation of the Communities That Care prevention system in a randomized trial. Arch Pediatr Adolesc Med 166(2):141-148, 2012. Hawkins JD, Oesterle S, Brown EC, Monahan KC, Abbott RD, Arther MW, Catalano RF. Sustained decreases in risk exposure and youth problem behaviors after installation of the Communities That Care prevention system in a randomized trial. Arch Pediatr Adolesc Med 166(2):141-148, 2012. Accessed from http://www.ncbi.nlm.nih.gov/pubmed/21969362.